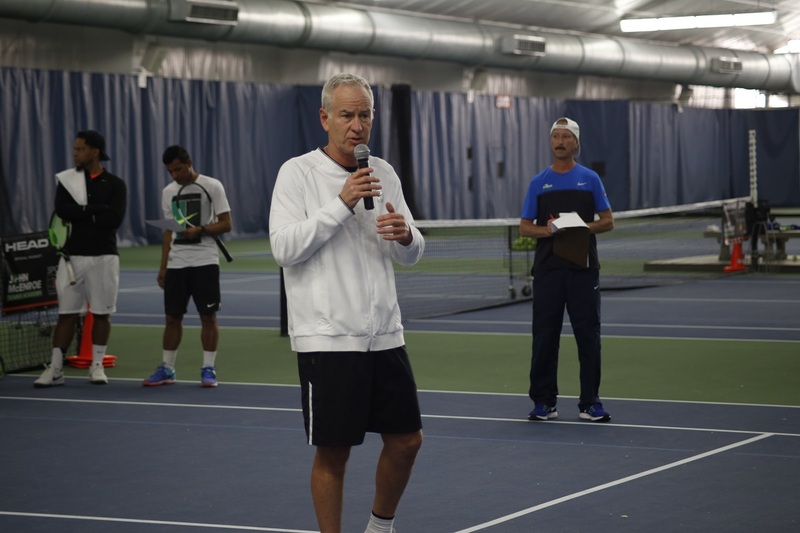 The John McEnroe Tennis Academy’s (JMTA) Long Island satellite location at Sportime Syosset will be hosting an open tryout, giving players an opportunity to earn full and partial scholarships for the 2018-19 year. The tryouts are open to players ages 6-16, and will be held on Sunday, June 17 at Sportime Syosset, located at 75 Haskett Drive in Syosset, N.Y.
►Proper tennis attire, including footwear, is required. Players will have access to locker room and shower facilities. Water will be available on court. SPORTIME Syosset features a full-service pro shop including professional stringing services. ►The SPORTIME/JMTA Selection Committee will contact scholarship winner(s) by July 31. Registration closes on Friday, June 8. If you have any questions, please contact scholarshipli@sportimeny.com.